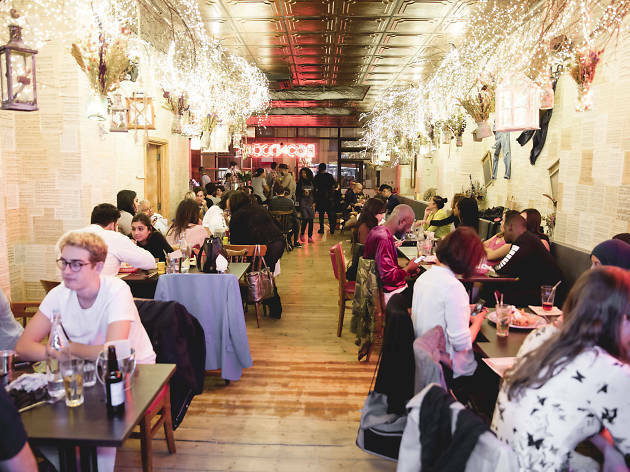 With a huge number of expats living in the London, the restaurant scene has risen to the challenge. 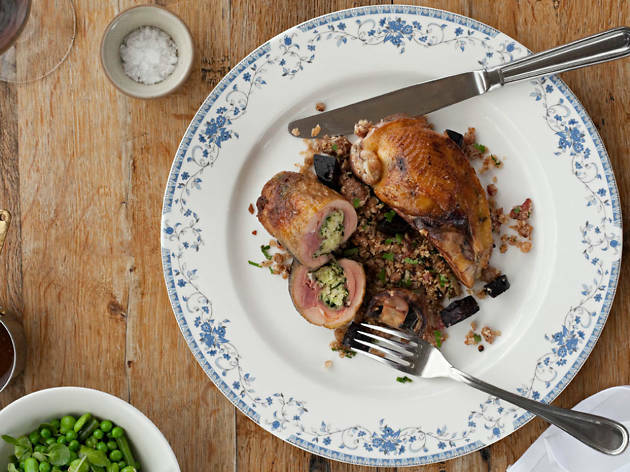 Whether you’re looking for a traditional American feast, or just a super luxe pre-Christmas dinner: dig in. 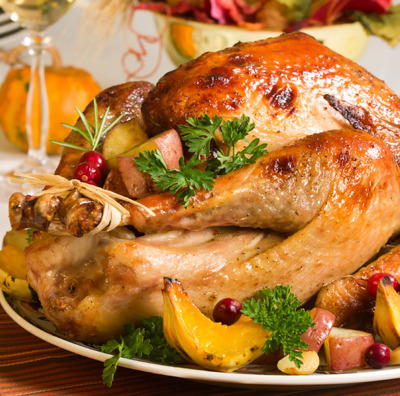 Thanksgiving falls on Thursday November 22 this year. Get booking. 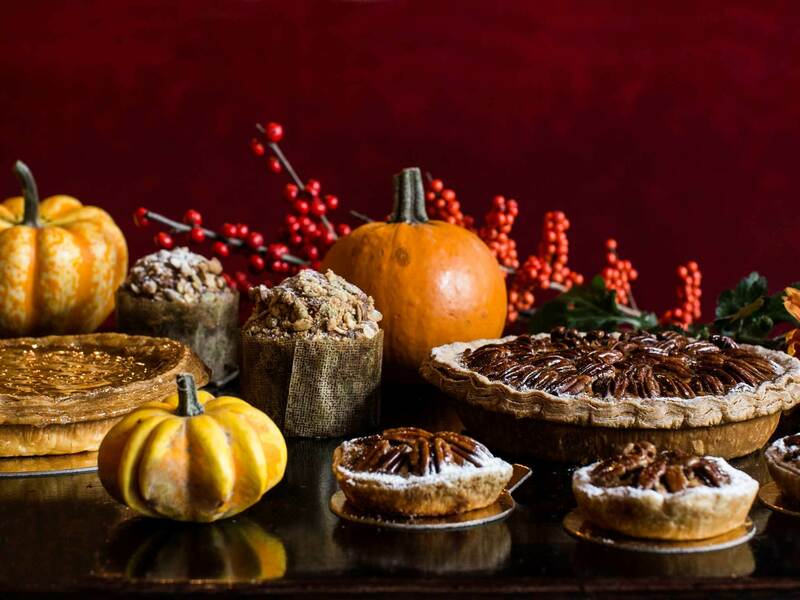 Caprice Holdings’ luxe Grosvenor Square grill is embellishing its regular menu with a few Thanksgiving classics this year. 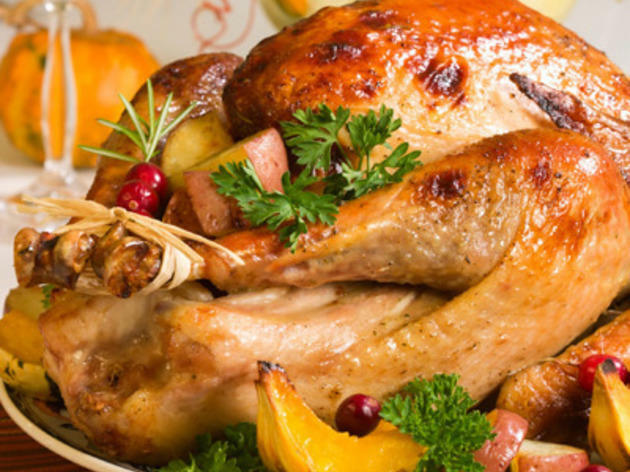 Yankophiles can fill up on: New England king crab and corn chowder; roast turkey with cranberry stuffing and buttered sprout tops; and pumpkin pie with pecan and maple syrup. Balthazar was born and raised in New York City, so Thanksgiving dinner at Balthazar London should transport you back to the States. 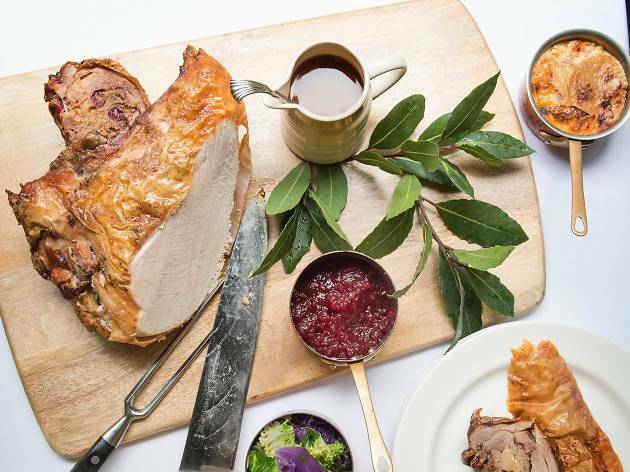 This year’s set menu kicks off with a gingerbread-spiced cocktail and follows it with three courses – highlights include traditional roast turkey with all the trimmings (plus winter kale salad) and pecan pudding. £55 a head. Serving roast turkey – or oven-baked squash for veggies – with buttery mash, roast sweet potatoes and sage-and-onion stuffing, Bea’s is celebrating Thanksgiving in style. Choose from pumpkin pie or berry-and-passion-fruit cheesecake for afters. £35.50 per person. The menu described is the 2017 menu. At the time of writing, the 2018 menu was not yet available. This feature will be updated as more details become available. Time Out London Food editors, September 2018. Venue says Now serving our brand new 'Signature Afternoon Tea' menu, 7 days a week, across our 3 stores! See our website for the full menu and to book. You get to choose between two all-American feasts: either a pit-smoked turkey served with stuffing, cornbread, mashed sweet potato and green bean casserole; or a self-styled ‘lobster fest’ (£10 supplement) featuring whole lobster, lobster roll or lobster mac ’n’ cheese. It’s all served family-style and bookended by squash soup or Caesar salad and banana cream or pumpkin pie. 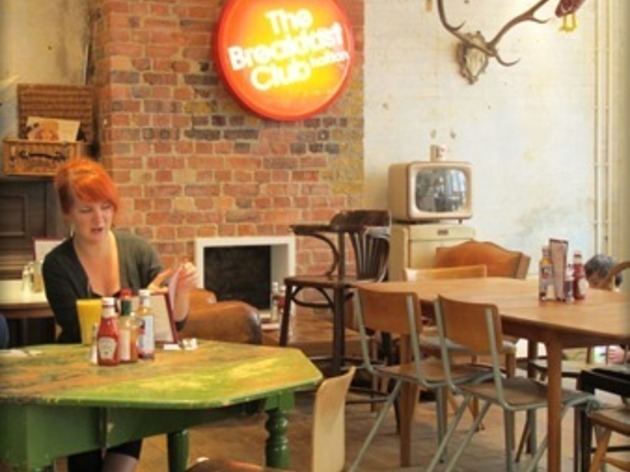 A three-course meal costs £35. (Please note that there’s a different Thanksgiving menu available at the Canary Wharf and King’s Road branches). 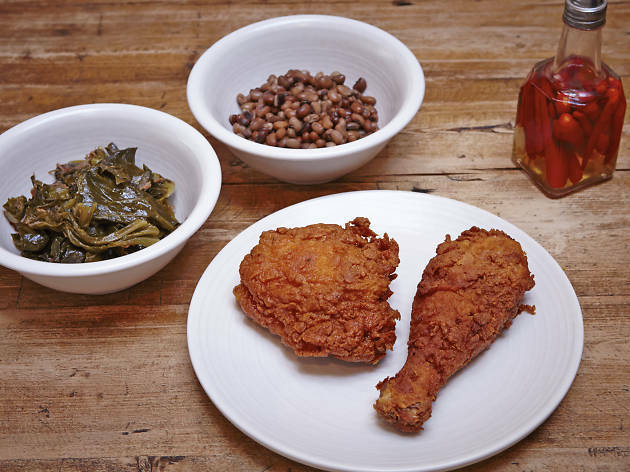 This year’s Thanksgiving feast at Deep South specialist The Blues Kitchen in Camden Town centres on a feast of buttermilk fried turkey, cornbread and twice-baked mac ’n’ cheese. And don’t forget some New Orleans gumbo to start and sweet pumpkin pie with toasted marshmallows to finish. 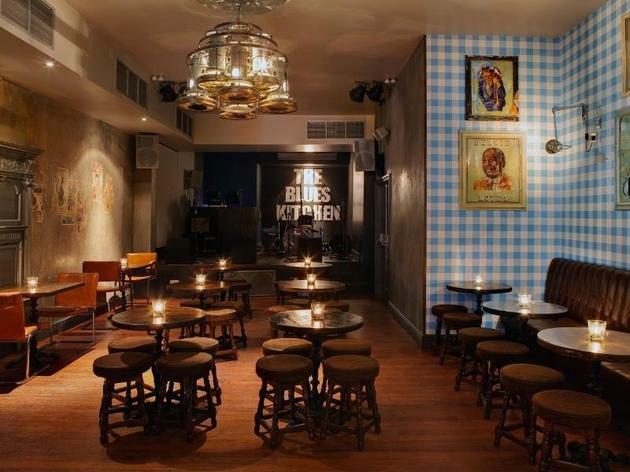 Book £29.95 tickets and you’ll be treated to live blues from the house band until 1am. 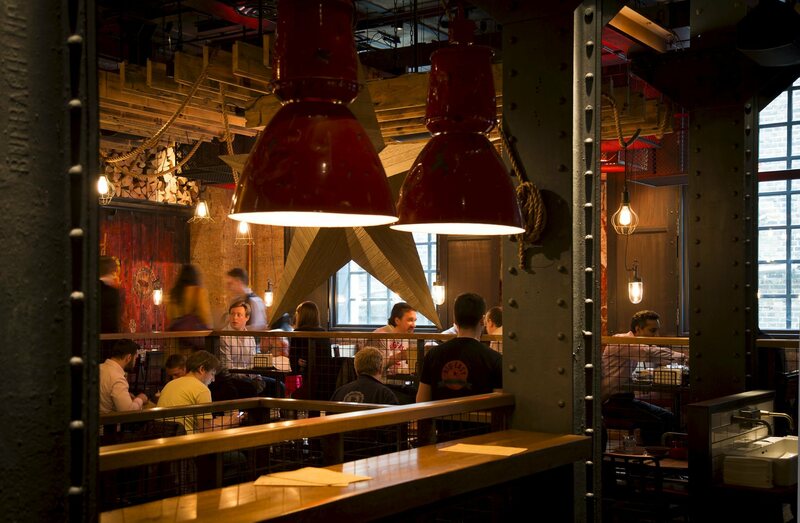 The Shoreditch and Brixton venues will also be celebrating. Venue says Make a drinks booking for your birthday on a Friday for 15 or more guests and we’ll throw in free drinks for you all night! 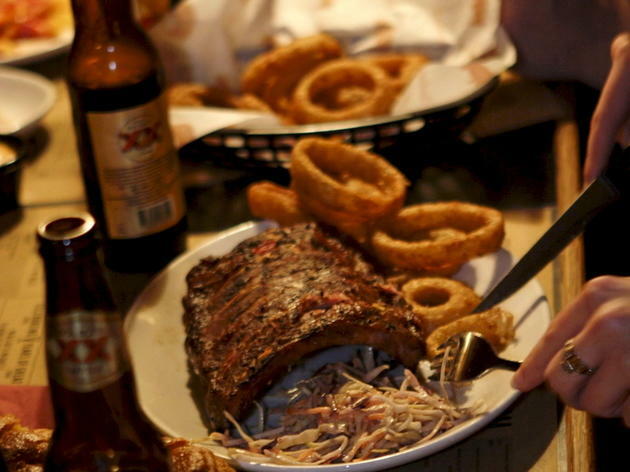 Book ahead for a smoky taste of America. 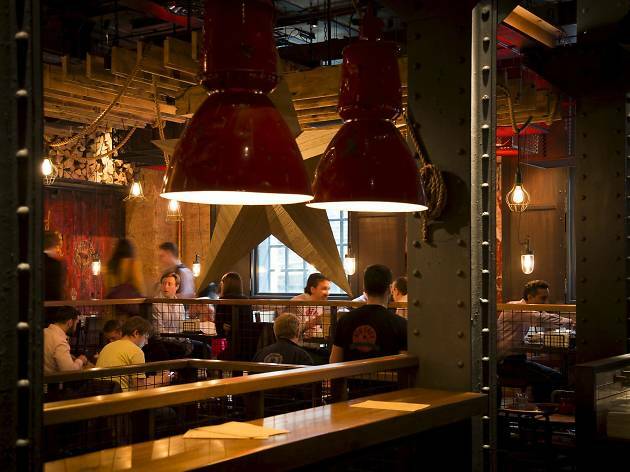 These citywide barbecue outposts are charging £28.95 per person for a meal that includes a choice of clam chowder, Caesar salad and a quesadilla (with a chicken, pulled pork or veggie filling) to start, followed by traditional turkey, then pumpkin or key lime pie for pud. After that little lot, you’ll be as stuffed as a Thanksgiving turkey. 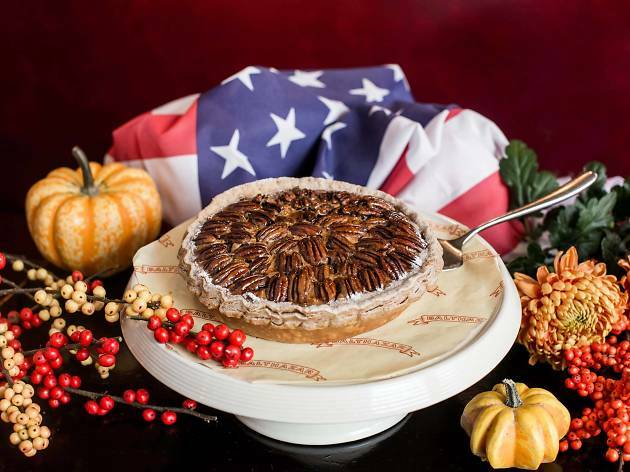 From November 23 to 25, this all-American joint in the City will be partying in U-S-of-A style with Thanksgiving feasting in the evenings. The set menu (£45 per head) focuses on spiced and roasted turkey, green bean casserole, buttermilk biscuits, sweet potato casserole with marshmallows and wild mushroom sourdough stuffing. Have it all covered with ‘super awesome’ gravy then wash it down with eggnog and hot buttered cider. 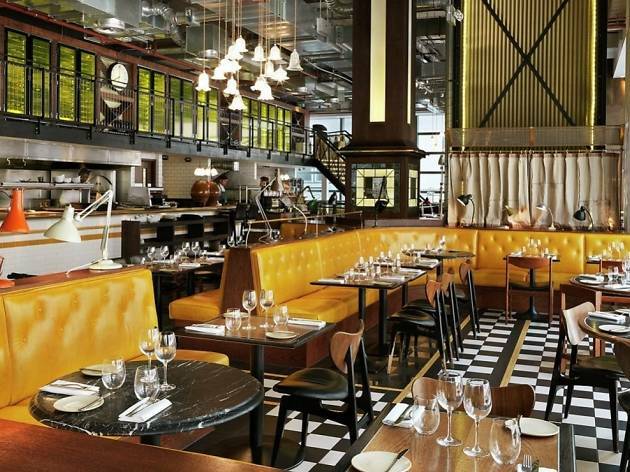 Gordon Ramsay’s City restaurant is serving up a three-course Thanksgiving menu that includes a sharing platter of wagyu meatballs, mac and cheese bites and spiced wings to start, plus peanut butter parfait and chocolate lava cake to finish. For the main course, chow down on a confit turkey leg served with shrimp and grits. £50 a head. Get a taste of the American dream with The Breakfast Club’s three-course feast of US comfort food and Thanksgiving classics. 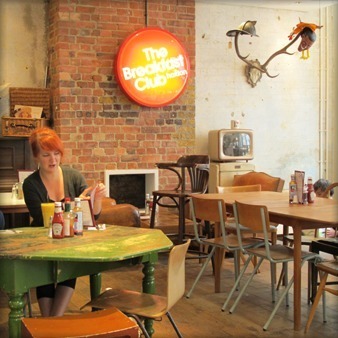 The meal starts with a butternut bisque served with jalapeño-and-coriander cornbread, moves on to Norfolk turkey roasted in beer and bacon along with Hasselback potatoes (or mac ’n’ cheese for the meat-averse) and finishes with pumpkin pie and vanilla ice cream – for £28 per person. Available at all branches in the evening (though tickets are required). For a country-chic Thanksgiving, head to South Ken’s branch of Bumpkin. It’s a cosy setting complete with comforting three-course menu featuring pumpkin-and-sage soup to start, apple pie to finish. Of course, the middle is the serious bit, with roast turkey joined by sausage-and-chestnut stuffing, corn on the cob, mashed spuds and cranberry sauce. Amp it up even more with a potent Thanksgiving cocktail of bourbon, red wine and apple juice. £30 a head. 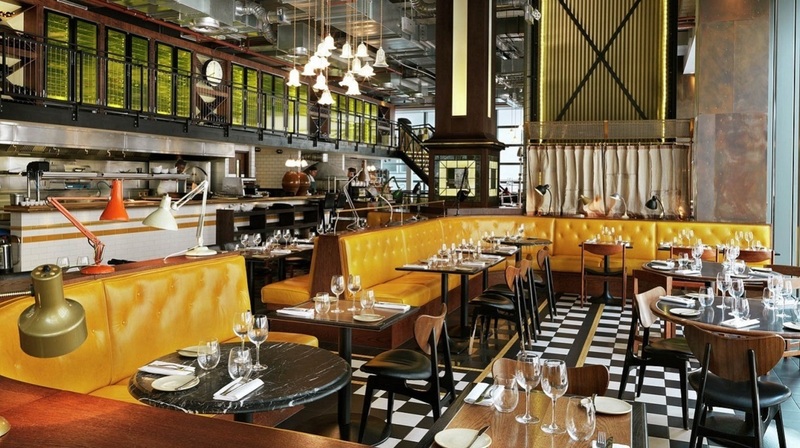 American restaurants in London bring out the best in the sought-after cuisine of the US. 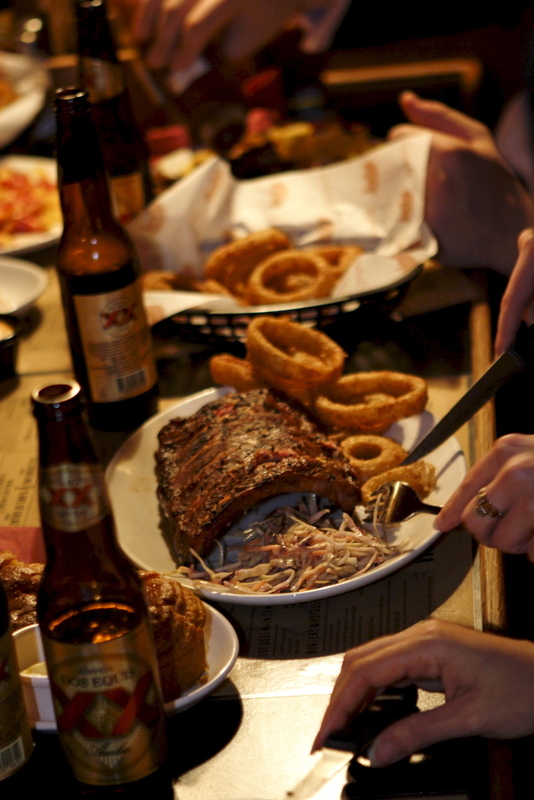 Think burgers, barbecue, hot dogs, ribs and other delicious forms of meaty goodness and you’re on the right track. But read our list below and you’ll discover there’s so much more to US cuisine, especially when it’s done to a tee in London restaurants.